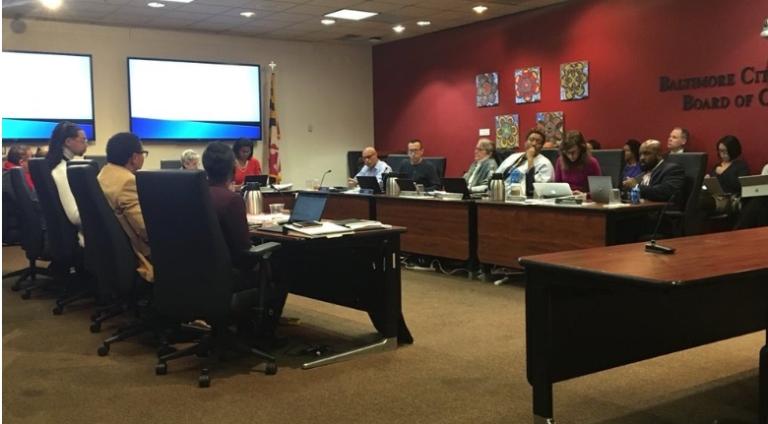 Baltimore city schools voted against a measure that would have allowed police officers to be armed during school hours. Police can carry their weapons before school or after school, but as soon as they enter the building they must be disarmed. The vote was unanimous. So much for being able to help in an active shooter situation. Maybe they can throw erasers or chalk. Parent Melissa Schober opposed armed officers by claiming that nearly every person arrested by officers in Baltimore schools has been black. This decision is a recipe for disaster. And it is rooted in a fallacy that has run rampant throughout the country in every large city: that police are the enemy. Baltimore also has a disciplinary issue with their students, according to the Baltimore Sun. Demographics means nothing when an active shooter is attempting to harm your kids. On March 20, 2018, School Resource Officer Blaine Gaskill shot Austin Rollins after he walked into the Great Mills High School in Maryland and shot two students. One of the victims died, the other did not. If Officer Gaskill had not shot the perpetrator, more students might have been victims. He saved many lives, by stopping a school shooting that could have become a massacre. Great Mills is in St Mary’s County, and ALL of their schools have an armed officer. It’s the reason a whole bunch of students are alive today. Baltimore lives in a fantasy world where the belief that police are enemies has permeated their culture. They have intentionally endangered their students based on that fantasy.